Enjoy this spacious beautiful bungalow home which accommodates up to 7 guests if you count 2 big sofas 9 guests. 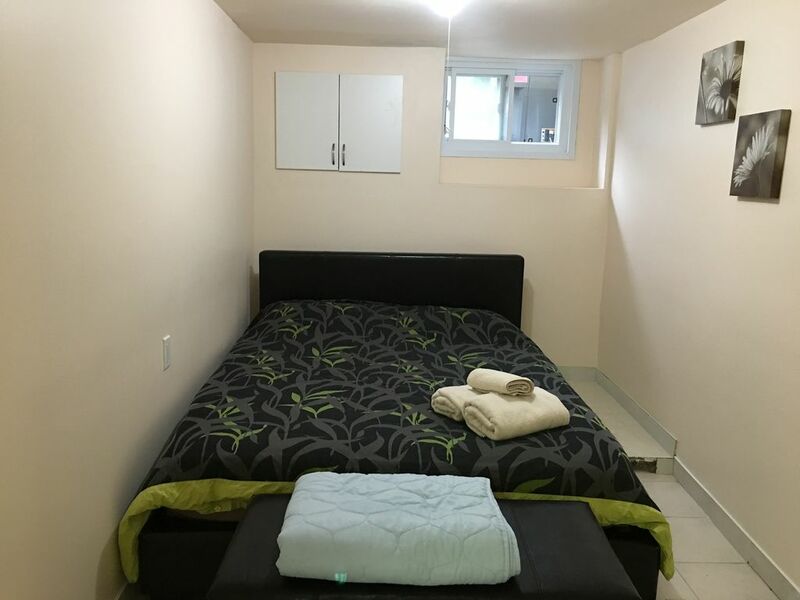 Located minutes away from the highway, Shopping mall, as well local college and university could be reached from bus route right in front of the house. Guest can use the entire house, however number of rooms used will depend on the number of guests arriving to the house. Stove, Oven, dishwasher, microwave, two door refrigerator with water dispenser, coffee maker, pots, pans, kettle, glasses, mugs, punch bowl set, plate sets, utensils, cutlery, kids dinnerware, , cutting board, dishwasher, toaster and some spices and olive oil. A 100% refund is provided for travellers cancelling at least 30 days before check-in. A 50% refund is provided for travellers cancelling from 14 to 29 days before check-in. No refunds are provided for travellers cancelling less than 14 days prior to check-in. CanadaStays Booking Fees are non-refundable. - As in any travel please assure all guests are insured for accidents, injuries or illness while travelling and on the premises. By accepting the reservation, it is agreed that all guests are expressly assuming the risk of any harm arising from the use of the premises and any damages caused to the premises.